Dog Lead Mtl Chain 4Asst 1.2M. 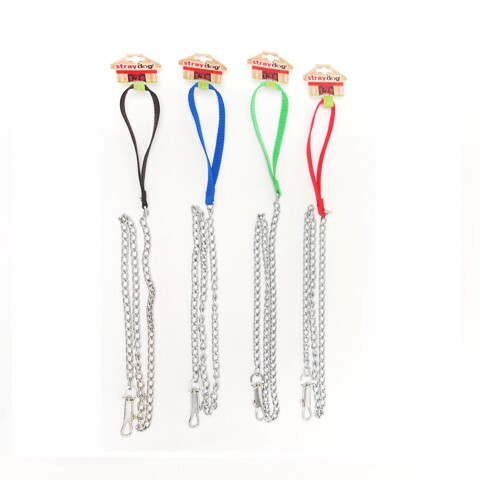 Chain: 99cm x 10mm l Handle: 19cm l 7cm Dog Clip. Chain Is Chrome. Handle: Red | Green | Blue | Black. Chain| Metal l Handle | PP. 220G Packaging: Bulk Packed with Tag.